Bathrooms are generally small and tucked away inside a home, rarely visible to outsiders. These rooms can be very personal and homeowners often invest a considerable amount of thought and effort into designing them. At Gordmay Construction, we’ve seen many clients make the wrong bathroom design decisions and regret their choices down the line. 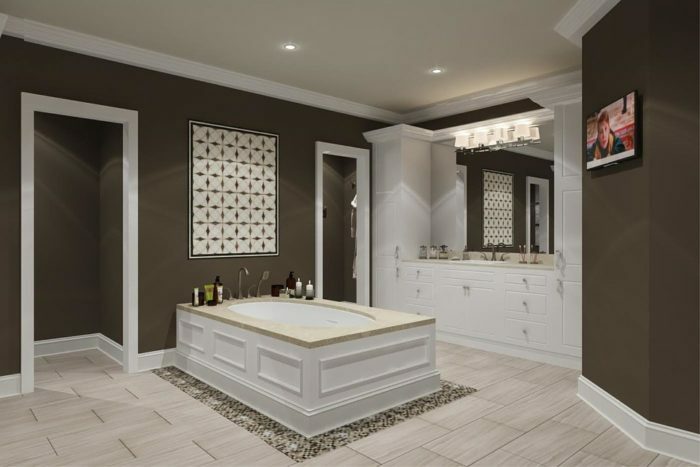 So here are some dos and don’ts that will help you during your bathroom remodeling planning process. It’s easy to get swayed by the latest trends and styles, especially during the planning stage when you read design magazines and blogs. Trends come and go and after a while, you might just find out that the changes you made start to become unappealing. Unfortunately, some installations and fixtures like toilets, bathtubs, tiles, and floors can’t be easily replaced so you need to choose carefully. Pick a design and colour that’s timeless and will be appealing even ten years down the line. In an ideal world, no unexpected expenses would pop up and you would be able to stay within your budget during your bathroom remodeling project. Unfortunately, this isn’t realistic, so you need to give yourself some breathing room and plan for some unexpected expenses. We recommend that you keep a buffer of 10% to 15% of the overall budget. If your project goes smoothly and you stay within your initial budget, you have some money left over to spend on other details. While bathtubs are still one of the most important aspects of a bathroom, we do see that this will change down the line. People don’t use bathtubs as often as they used to because they simply don’t have the time. This is reflected in the latest design trends as homeowners and contractors focus more on showers than tubs. You will definitely use the shower more often than you use a bathtub so it’s a good idea to invest time, money, and effort into its design. It’s tempting to save money on bathroom remodels but this can prove to be expensive in the long run. You shouldn’t cut corners on labor, material quality, and especially on bathroom fixtures like faucets, toilets and shower fixtures. Unless you plan to remodel your bathroom again a couple of years down the line, you need to choose quality over savings. If you want more information or have questions about bathroom remodeling, our experienced installers at Gordmay Construction can help you. Don’t hesitate to contact us on 613 715 4841 or fill in this contact us form.